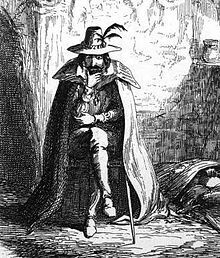 Guy (0r Guido as he liked to be known) Fawkes was born on April 13th 1570 in Stonegate in York. He was educated at St. Peter’s School in York. At sixteen he converted to Catholicism at a time when religious teaching was dictated by the Church of England, a brand of faith that barely tolerated Catholicism. Following the death of Queen Elizabeth I in 1603, King James VI of Scotland also became King James I of England. He was the first monarch to rule both nations simultaneously, a situation which would later go on to create that which is now the United Kingdom. 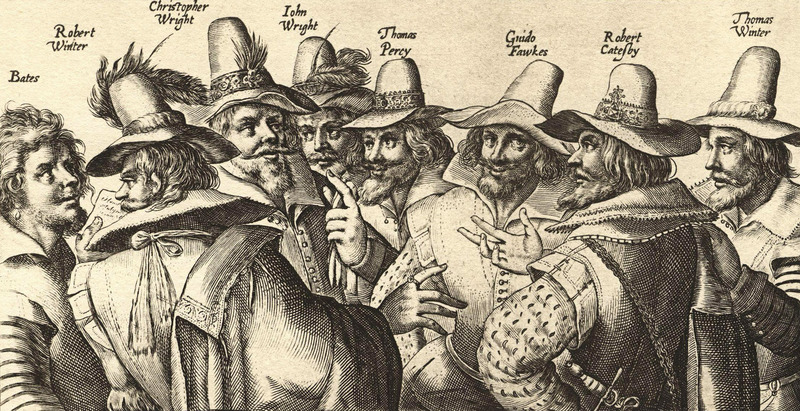 The Gunpowder Plot was a somewhat irrational response to the repression the Catholics experienced under James. The principal aim was to kill the King and kidnap his daughter and 3rd in line to the throne, Princess Elizabeth. Once the King and as much of his Parliament as possible were dead, the plotters intended to install Elizabeth on the English throne as Queen. At the time, the Princess was living at Coombe Abbey near Coventry, only ten miles north of Warwick. Very convenient for the plotters, most of whom lived in the Midlands. Robert Catesby, the prime mover in the conspiracy, was a Warwickshire man, as was John Grant, whose house at Northbrook, Snitterfield, was the rendezvous and powder magazine of the conspirators. Indeed, the Gunpowder Plot of 1605 was a Warwickshire conspiracy. The first meeting of the five central conspirators took place on Sunday 20 May 1604, at an inn called the Duck and Drake, in the fashionable Strand district of London. Catesby had already proposed at an earlier meeting with Thomas Wintour and John Wright to kill the King and his government by blowing up “the Parliament House with gunpowder”. One of the conspirators, Thomas Percy, was promoted in June 1604, gaining access to a house in London that belonged to John Whynniard, Keeper of the King’s Wardrobe. 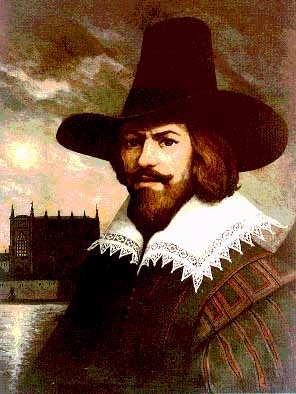 Guy Fawkes was installed as a caretaker and began using the pseudonym of John Johnson, a servant to Percy. The plotters then heard of a nearby undercroft, or cellar, directly beneath the House of Lords and managed to purchase the lease to a neighbouring room, which also belonged to John Whynniard. Unused and filthy as it was the cellar appeared to be an ideal hiding place for the gunpowder the plotters planned to store. 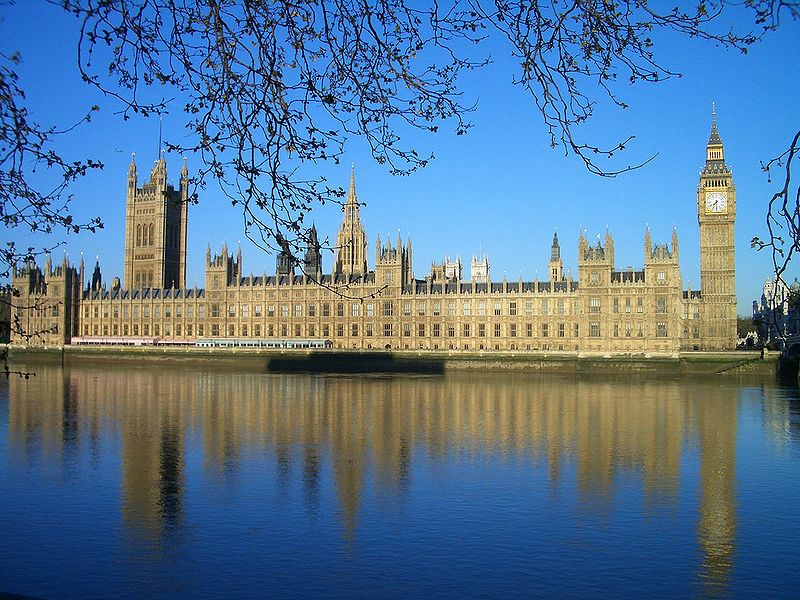 The cellar below the Houses of Parliament was rented by the members of the plot and was subsequently filled with 36 barrels of gunpowder : enough gunpowder to completely destroy the building and cause severe damage to buildings within a one mile radius of it. 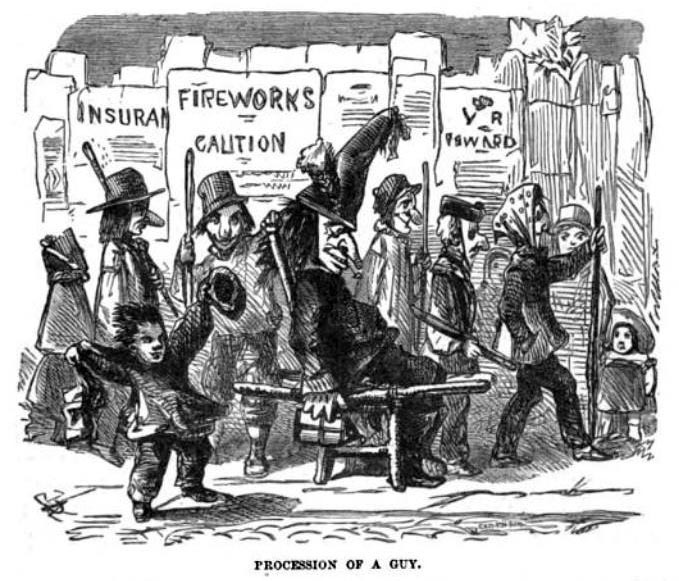 Guy Fawkes was in charge of guarding the gunpowder, and, if he hadn’t have been caught, would have been the person that lit it. Under torture, it took up four days for Guy Fawkes to admit to his part in the Gunpowder Plot and give names of other people involved in it. His signature on the written confession after torture is still held by the National Archives. Fawkes and other people involved in the Gunpowder Plot were tried on January 31st 1606 and then hung, drawn and quartered in the Old Palace Yard in Westminster. Contrary to popular belief, Fawkes wasn’t thrown onto a bonfire. That only happens to straw dummies made of him since. Originally, guy was a term for an “ugly, repulsive person” in reference to Guy Fawkes. 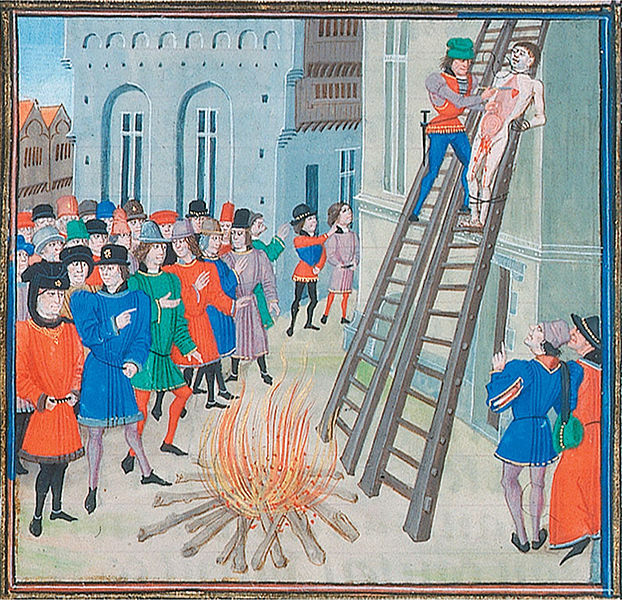 To be hung, drawn and quartered was, from 1351, a penalty in England for men convicted of high treason. Convicts were fastened to a hurdle, or wooden panel, and drawn by horse to the place of execution, where they were hanged (almost to the point of death), emasculated, disembowelled, beheaded and quartered (chopped into four pieces). Their remains were then often displayed in prominent places across the country, such as London Bridge. For reasons of public decency, women convicted of high treason were instead burnt at the stake. Despite before being rendered obsolete in England in 1870, the death penalty for treason was not actually abolished until 1998! This entry was posted in Counties Of England, The Evolution Of . . . and tagged bonfire night, Fawkes, Guido, Gunpowder, Guy, Parliament. Bookmark the permalink.